It’s amazing to see how more and more couples are opting for an elopement where they can just plan their wedding with just a few months or even days ahead and still have an amazing day that celebrates them. The City Hall is usually the no brainer for elopement weddings since they seem to handle all the paperwork and give you the marriage certificate at the end of the session which is great. However the marriage bureau can get extremely busy, especially Fridays which naturally is one of the most demanded dates, marking the beginning of the weekend. We have experienced that on a busy day it can take up to 3 hours. The down side of this is that the couple and the guests can get tired of waiting and the whole process can really be a little stressful. Also if you hired a photographer you will have to keep in mind that the longer the wait, the longer is the coverage and therefore the price they will charge so that’s definitely something to consider! 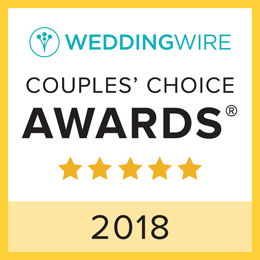 In case you are wondering, the couples just need to apply for the marriage license 24 hours prior to the ceremony and then David will handle the paperwork after the ceremony and have your Marriage Certificate sent to your home. In case you wanted to have the certificate right away you can also do so by going to the marriage bureau with the license signed and validated by David. But this time you will be married already so it’s a step less and no pressure at all. In case you are traveling from abroad, David can also give you info on the steps to make it valid in your country, in case that’s even necessary. So! We are proudly offering the Sweet Elopement package which includes photos of the ceremony and photos at the location of the ceremony and also includes a short and sweet legal ceremony. We would love to hear which location you envision for your day and will also be happy to recommend great locations for the ceremony. The Sweet Elopement package is designed for weddings with just the couple or with just a few guests. In case of being just the two of you the photographer would act as witness at no additional cost. You may see some examples of Sweet Elopements below and feel free to contact us with any questions or fill the contact form below!